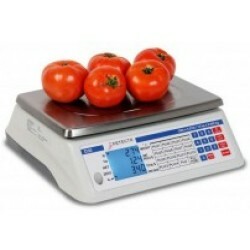 Detecto D30 Price Computing Scale NTEP Legal 30 lb. 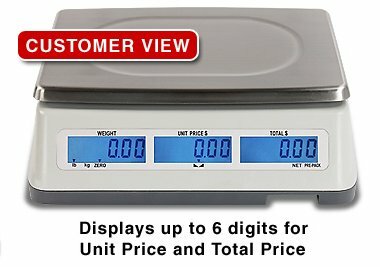 And did you know the NTEP legal-for-trade scale's Pre-Pack key saves time by retaining the Unit Price and Tare for repetitive price computing, making the operator's job even faster. Adjustable, nonskid feet and internal bubble level ensure steady and accurate weighing, plus a beep provides audible confirmation of key presses. The weighing capacity of the D30 is 30 x 0.01 lbs. The high-grade, molded polymer enclosure with color-coded sealed membrane keypad and lift-off, wash-down stainless steel platform make cleaning easy.